Home › Snapchat Today › How Many Views Are Snapchat Stories Really Getting? 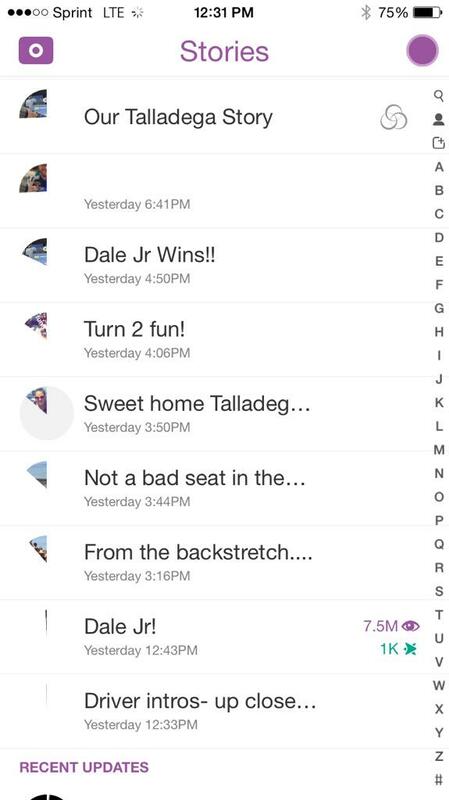 How Many Views Are Snapchat Stories Really Getting? The Dale Jr! 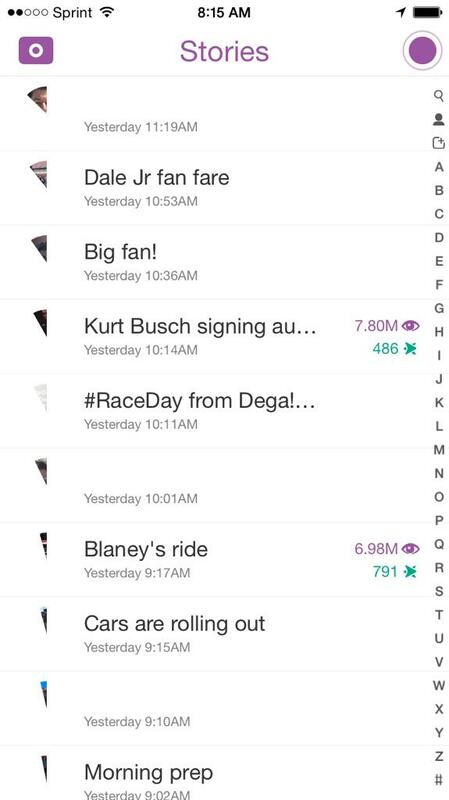 Snapchat Story video received 7.5 million views, the Blaney’s ride received 6.98 million and the Kurt Busch signing autograph received 7.8 million views. Note that most of these videos within the story were almost over by the time these screenshots were taken. I would imagine the total view count increase a little more but not by all that much. What is very interesting to me is the lack of screenshots. The screenshot amounts are minuscule compared to the overall views. That said, I don’t think Snapchat cares that much. If around 7 million people are watching each of the videos they are going to state that over 28 million total people watched the video. I think there are going to be many duplicate watchers but Snapchat likely will not report that. Part of the reason they keep uploading more videos throughout the day is that it adds to the total number of viewers. In the long run, I think these numbers are just going to go up. From personal experience I can tell you that Snapchat users are sitting in the app waiting for updates. In the first two days of sharing stories I have already found that I can get over 100 views in the first seven minutes of a story being live. That is simply crazy to me. Most of my stories are maxing out around 1k views but the first 10 or 15 minutes are huge. This tells me the users are just waiting for the new content to go life. What that also means is it will be huge money in the form of advertising on Snapchat. How many views do you get on your Snapchat Stories? Do you think the bigger Snapchat Stories that are shared through Snapchat will continue to grow in viewership?